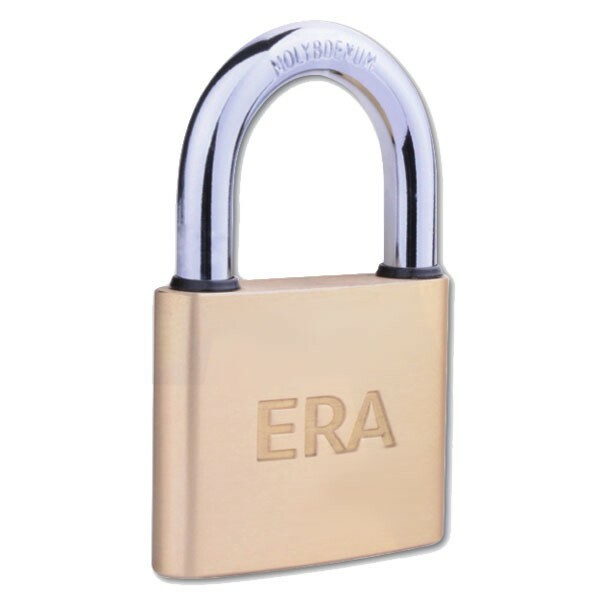 This solid brass padlock from Era features a hardened steel shackle to protect against saw and bolt-cutter attacks and is supplied with 2 keys. Features: Double lever locking mechanism for 40mm and above. Bump and drill resistant cylinder. Hardened steel shackle protects against saw and bolt-cutter attack.